A is in front of B A is behind B. A is at the back of B. A is on the left of B. 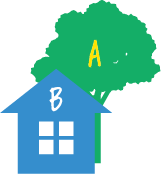 A is on the right of B. A is close to B. 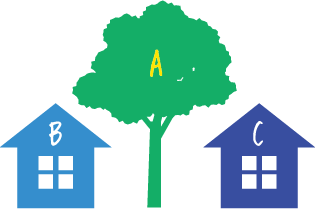 A is between B and C. A is across from B. 私：Excuse me? Do you know where the restaurant, Petey’s Buger is? 男：Hmmm, let me see. Oh, it’s behind you! (C) 2013 - 2019 infovision All Rights Reserved.